Reporting your car accident to the police is an absolute necessity, even if you don’t think that you’ve suffered any serious losses. You should report the car accident immediately – it is best to pull your vehicle to a safe location, make sure that everyone is okay, and then call the police. By doing this, you ensure that an officer will take a report of the accident, which will include evidence and information that may be critical to your claim. If you require emergency medical care, this should be reported to the police operator when you call the accident in, and an ambulance should be sent to the accident scene. 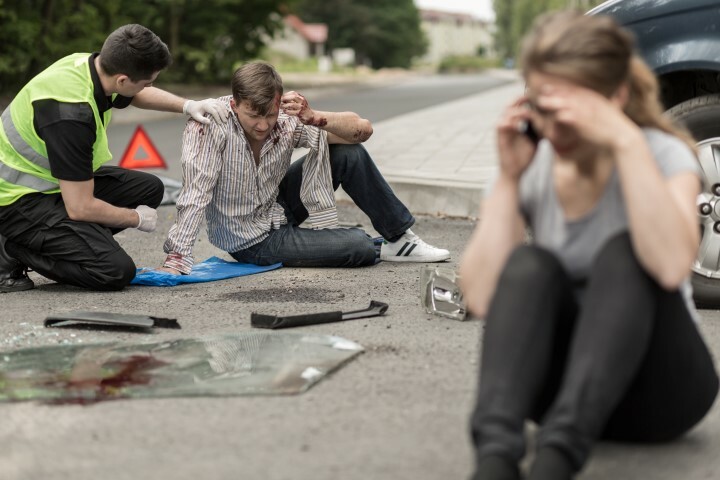 However, if your injuries are not so severe as to demand emergency care, you should still go to the emergency room or see your family doctor as soon as possible after the accident. This is important even if you don’t feel significantly harmed – things like soft tissue injuries, brain injuries, and even internal injuries may not be immediately obvious, but could have serious repercussions. What’s more, if you do not seek medical care immediately following the accident, you may have a difficult time proving that your injuries were a result of your car accident rather than an unrelated event. You have a duty to report your car accident to your motor vehicle insurance company within a timely manner. If you do not give your insurance company reasonable notice of the accident, you may be barred from recovery. Our legal team strongly recommends calling your insurance company as soon as possible after your accident, and always within 48 hours of its occurrence. You may be wondering whether or not you need a Massachusetts car accident lawyer to represent you in your interactions with the insurance company and throughout the claims process. While hiring a lawyer is a completely personal choice, working with a legal professional is almost always a good decision; a talented lawyer can maximize your settlement amount by investigating your case, gathering evidence, proving fault, substantiating damages, and negotiating on your behalf. Car accidents can lead to serious economic and noneconomic losses, ranging from property damage expenses to lost wages to medical expenses and more. When you hire our experienced car accident lawyers, you begin the process of recovering the compensation that you deserve. For your free consultation with our legal team, please call us at 781-284-2900 or send us a message telling us about your accident.